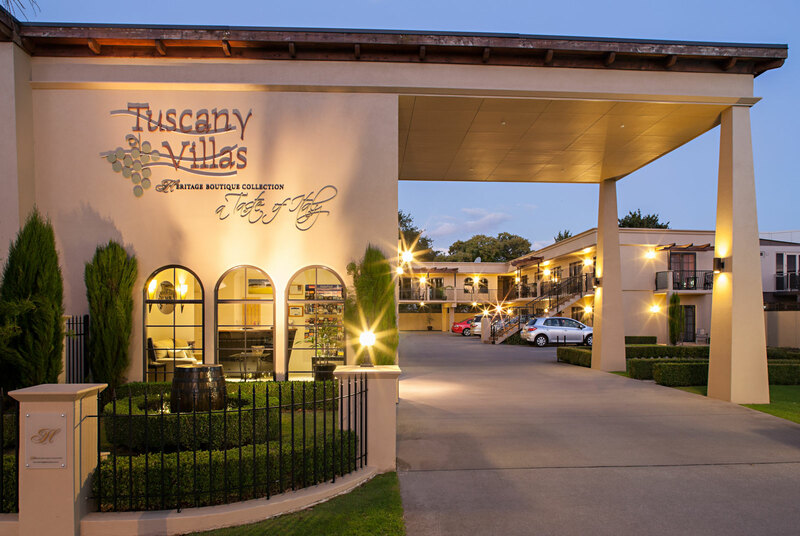 Tuscany Villas - your Luxury Rotorua motel accommodation and corporate conference venue - is located conveniently in the heart of Rotorua. For your Rotorua conference or for your leisure time there are plenty of cultural, activity and artistic attractions available to entertain your delegates, family and friends. 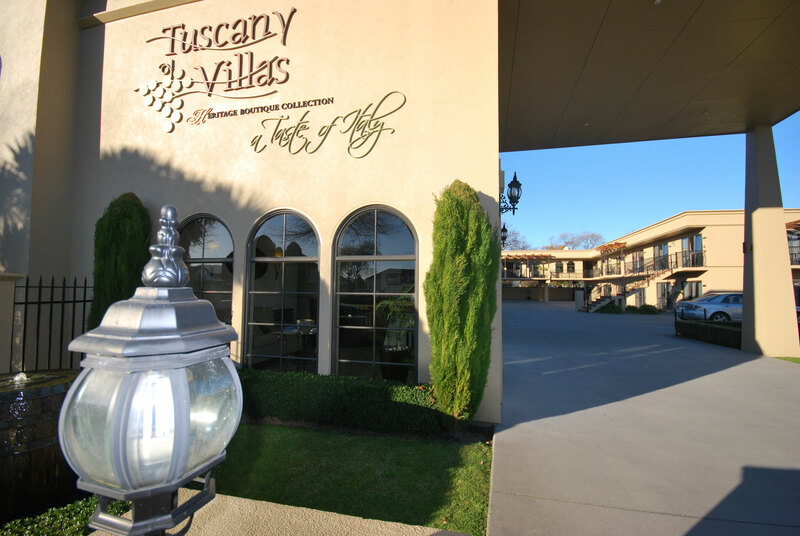 We are able to make recommendations and assist with bookings. Redwood Forest - Walking, running, mountain biking, horse riding at whatever level you like- It's all here in this magnificent forest and right in the town. New Zealand's only native forest zipline Canopy Tour. A 3 hour eco adventure deep into an environment only a privileged few will ever see. You will not see any of the tree or plant species on the tour in any other country on earth. 500 year old giant trees, native birds, monster tree ferns and perching plants dominate this incredible example of untouched virgin New Zealand wilderness. The journey takes you over a 1.2 kilometre network of ziplines, walking trails, tree to tree swing bridges and tree top platforms at heights of up to 22 metres above the forest floor. The highlight for many is the jaw dropping 220metre "Tui Song" zipline. Drop out of the canopy of a 500 year old Rimu tree and fly over a long forgotten valley to a landing platform hidden in the distance. Climb aboard a Rotorua Duck and experience Rotorua from land and water. These bright yellow vehicles were once used in World War 2 as military landing crafts and can travel on both land and in water. Discover the Rotorua City and Lakes Tour which takes guests on a tour of the town centre, followed by a plunge down into the lake. Or take the Tarawera and Lakes Tour and explore Lake Okareka, followed by a trip out to the Blue Lake, the Green Lake and Lake Tarawera. The journey includes a commentary or the history of the area. Bring your camera! Have the time of your life on the Kawerau Jet, speeding across Lake Rotorua. Experience ‘speed, thrills and adrenalin’ as you power around the lake on our bright yellow boat. Choose a combo package and add a cruise on a 53 foot luxury catamaran on Lake Rotoiti to your experience. Or soar through the air above Rotorua on a scenic helicopter flight, go white water rafting or visit Temuera Morrison’s lodge. Another option offered is parasailing. Float above Lake Rotorua for 10 minutes, enjoy the stunning scenery and relax. Off Road NZ is your haven for exciting 4 wheel drive adventures in Rotorua. Take the 4WD Bush Safari and test your fear factor as you navigate through a number of obstacles including a tunnel, waterfall and luge. Or hang on tight for the Monster 4X4 Thrill Ride as you descend near vertical slopes! The company also offers sprint car racing, clay bird shooting, archery and golf. Raceline Karting offers an adrenalin buzz like no other. For the ultimate white water rafting experience, Raftabout Rotorua is the perfect choice! Raft grade 3, 4 and 5 rivers, including the Kaituna Waterfall, the highest commercially rafted waterfall in the world (7m). Join a group and pile into our rafts or take to the lower area of the Upper Kaituna River on one of our individual sledges, slap on your flippers and you’re ready to go! Raftabout activities provide a great team building opportunity for groups. Improve communication, strategizing, productivity and give everyone something to talk about on their coffee break! Your team will love it. Package deals are also available with other Rotorua attractions, such as the Te Puia hangi and concert, horse trekking, Off Road NZ, Agrodome activities, skydiving and more! Unique and unforgettable scenic flights around Rotorua and the Bay of Plenty are HELiPRO’s specialty. Come face to face with White Island, an active island volcano off the east coast of New Zealand or soar over Mount Tarawera and the Blue and Green Lakes, which are simply stunning. HELiPRO operate from Te Puia, Agrodome Park and Skyline Skyrides for your convenience when visiting some of Rotorua’s top tourist attractions. Combination packages including other Rotorua attractions are available also. 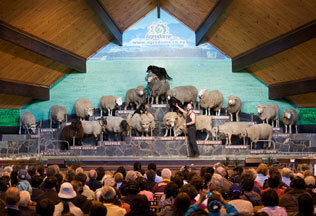 The Agrodome combines action and adventure with a sheep show and farm tour. If you’re looking for the full Kiwi experience, the Agrodome is for you! Located on 160 hectares of sheep and beef farm, the Agrodome is the perfect location for the daily sheep shows and farm tours. Watch a skilled stage presenter as they charm the audience, while introducing visitors to the art of sheep shearing, sheep dog demonstrations, cow milking and if visiting at the right time of the year – bottle feed the adorable lambs. Farm tours depart after each show and take guests down to the farm, meeting emu, sheep, cattle, alpaca, ostrich and more! Also visit the 100% pure organic New Zealand orchard and sample the fine produce! If you’re more into action and adventure, the Agrodome has something to test the limits of even the most experienced adrenaline junky. Plunge from the Rotorua Bungy off the 43m tower, try body flying on the Freefall Xtreme, or swoop through the air in the massive swing. You’ll also have the chance to experience true Kiwi ingenuity with the New Zealand invented Zorb, which allows you to roll down a 200m hill in a clear blow up ball. The Shweeb is another world first adventure activity. Jump in your own pod and cycle away as you power yourself along the monorail race track. Ride 487m above sea level up Mount Ngongataha on the Skyline Skyrides Gondola, operating 8.00am till late, daily. Remember you camera, and experience the stunning views over Rotorua city and the sparkling blue waters of Lake Rotorua. Once at the top, take an exciting Luge ride down one of our specially designed, downhill tracks. Start on the beginners, Scenic Track and work your way up to the Intermediate Track, followed by the Advanced Luge Track. You can travel as slowly or as speedily as you wish! A chair lift will transport you from the bottom of the track, up to the starting line, so you can start all over again! While up Mt Ngongataha take a bush walk through the Redwood Forest, dine in our restaurant or buy a souvenir at the Skyline Gift Shop. Rotorua is Mountain Bike Heaven. Just minutes from the Town Centre is the Whakarewarewa Forest. 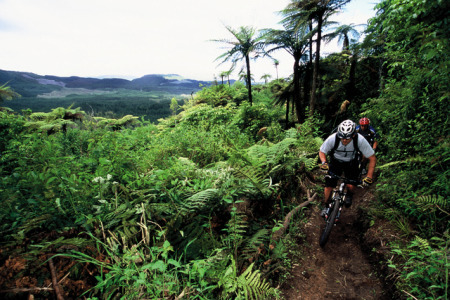 The forest trails have made Rotorua the mecca of New Zealand Mountain biking, attracting thousands of people from all over New Zealand and the world, each year. Wind and weave your way through a lush forest of towering Redwoods, Radiata Pine, Douglas Fir, Eucalyptus and Larch. Awesome water, mountain and thermal scenes break through the undergrowth, urging you on. Rolling beginner trails, fast-flowing single track to more technically challenging cross-country trails and exhilirating downhill. There is something for everyone. Entry to the forest is free. The Big Splash is a nine minute long water journey through time that features an informative narrative, state of the art animation bringing to life dinosaurs, moa and the haast eagle, and an adrenalin boosting plunge at the end. Has celebrated it's first year in business and it has been a stunning one. This eco-adventure is not to be missed. 3 hour guided wildersness adventure on New Zealand's only native forest zipline canopy tour. You will experience 6 thrilling ziplines, 2 spectacular swing bridges, treetop platforms and an awe inspiring view of the forest up to 22 metres above the ground. This experience will stay with you long after the thrill of the final zipline has passed.